The garage is undoubtedly the largest space in your home. With so much potential, why simply let it go to waste? Instead, consider one of the following garage makeover ideas to transform your garage into the space of your dreams for the new year. Garages provide the perfect opportunity to add a workout room to your home, which also helps save on costly gym memberships. Simply tailor your workout space to include your favorite gym equipment, music player, and TV, and you have all the necessities needed to make your at-home workouts exciting! The location of your garage also makes it the perfect space to entertain guests. Simply fill the space with a few cozy essentials, such as in-home flooring, a large screen television, couches, and maybe even a bar area, and you have all the makings of a great hotspot to invite friends and family to enjoy the big game. And don’t forget the appetizers! 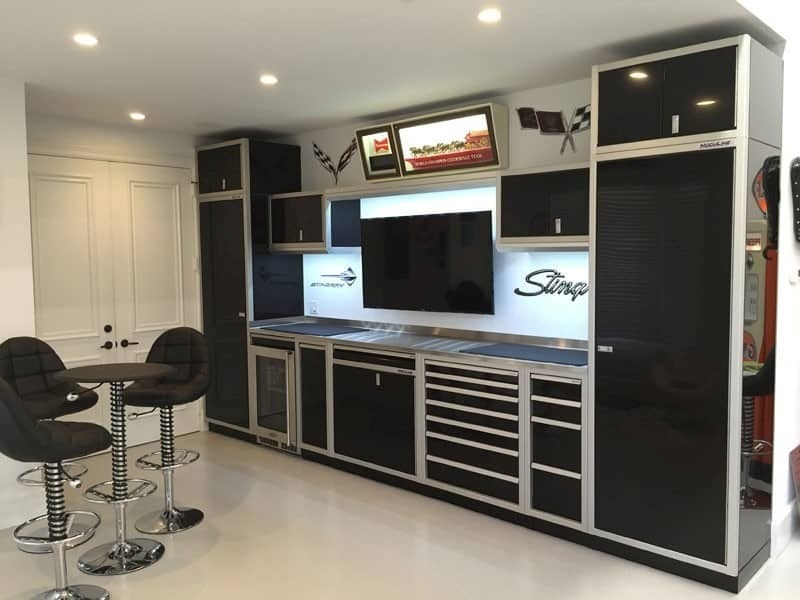 If you enjoy working on cars for racing or everyday driving, and always dreamed of having your own shop area, why not consider the garage as the perfect area to organize your tools? 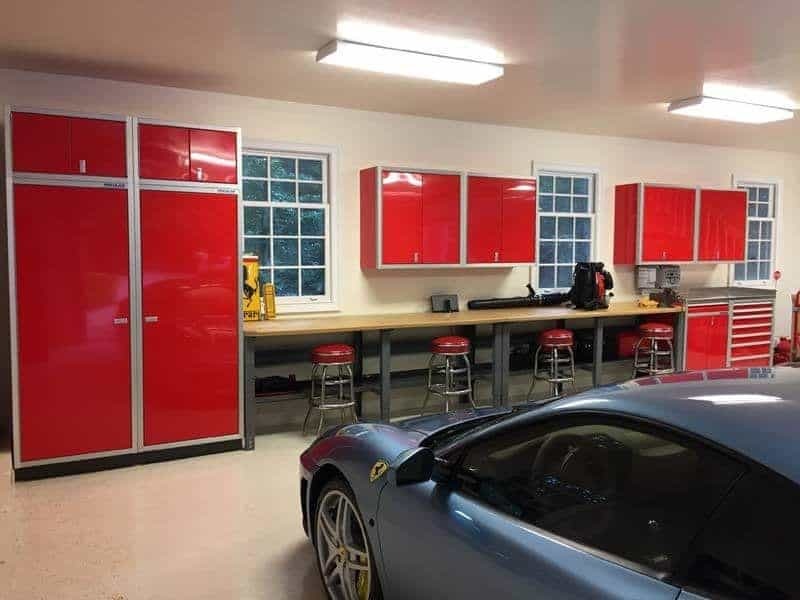 In fact, garage cabinet systems make great storage components, and they can even be customized to match your vehicle’s color. 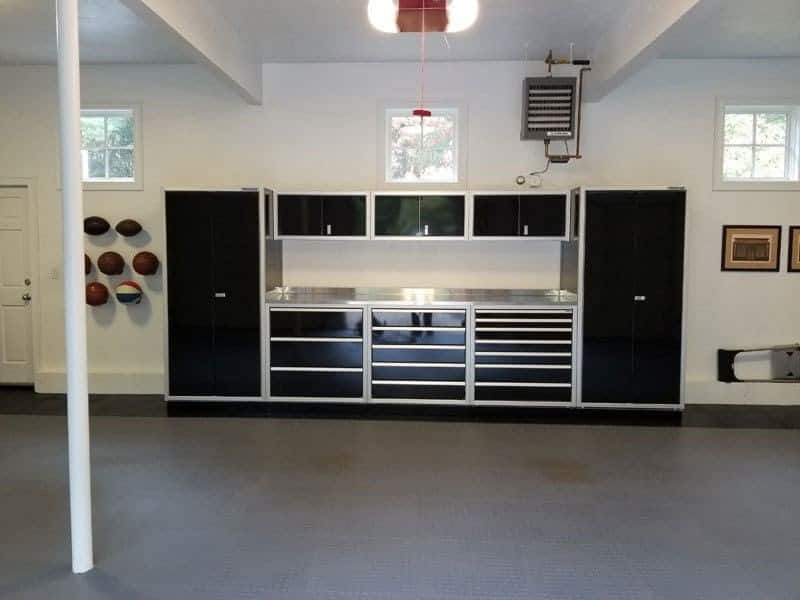 To begin your garage makeover, simply rid the garage of excess junk, knick-knacks, and trash, which will enable you to see the endless possibilities of your garage as your own personal dream space. To get a quote and design planning from Moduline Cabinets, feel free to contact us today.